common child and belong to different families are considered as edges in such a network of families. The sampled network is a collection of many disjoint components with the largest connected component having around 1000 families mostly originated from one single region in Western Finland. We characterize the network in terms of the basic structural properties and then explore the network transitivity and assortativity with regards to regions of origin and linguistic identity. Transitivity is seen to result from linguistic homophily in the network. 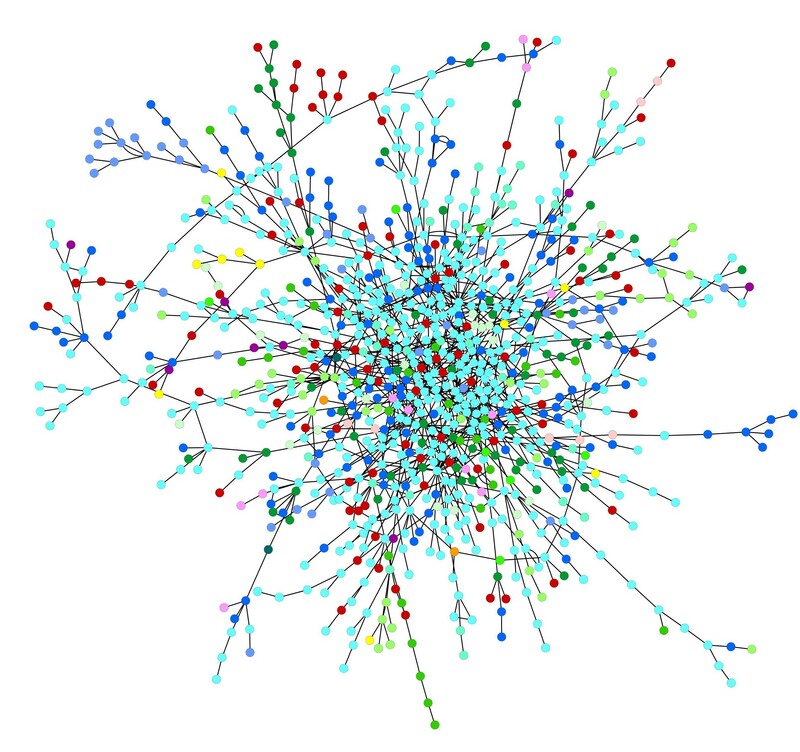 Additionally, we study the structure of the kinship network derived from the dual graph of network of families. Overall, we distinguish between two patterns of regional effects, the ‘metropolitan’ and the ‘cultural’ pattern. We also investigate the patterns of regional migration and regional co-residence of parents and their children. Specifically, we analyse how likely it is for children to reside in the same region as their parents at any specific age, whether parents and children who live in different regions are likely to reunite, and whether siblings function as regional attractors to each other. Results show an intense regional migration of people to the capital area. The migration propensity of individuals is high in early childhood and peaks in early adulthood. About two thirds of Finnish children live in the same region as their parents throughout their adult lives. Females show higher propensity to migrate than males, since daughters move away from their parents earlier and with a higher rate than sons do. The propensity for two full sibling brothers to be in the same region is higher than that for other types of sibling dyads. We conclude that family members serve as important geographical attractors to each other through the life course and that family attraction is stronger for sons and brothers than for daughters and sisters in contemporary Finland.